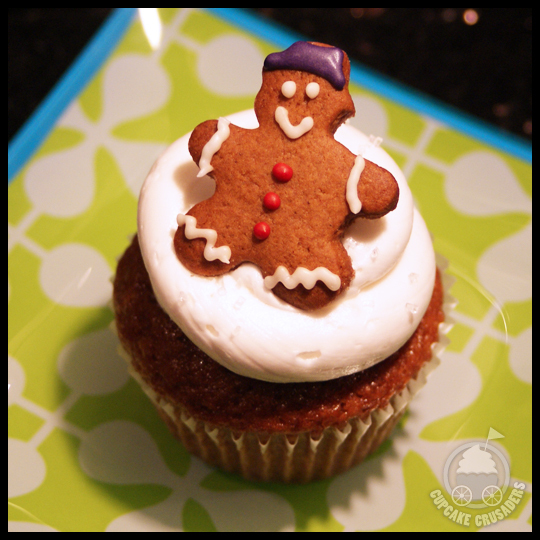 During our quest for holiday cupcakes, we encountered some that were more winter themed than Christmas themed. 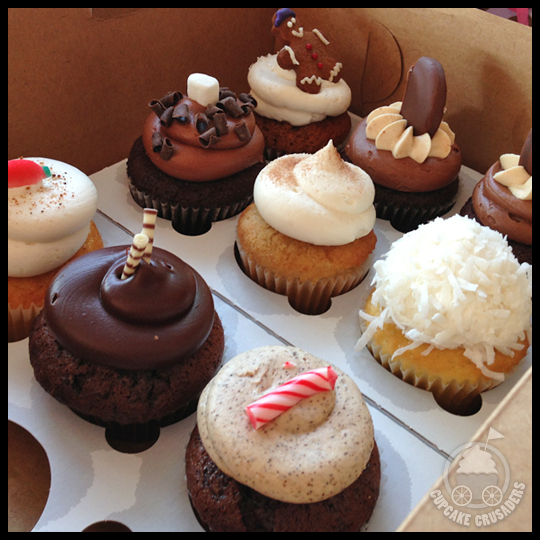 So, as the days get colder, we decided to share these cupcakes with you today. 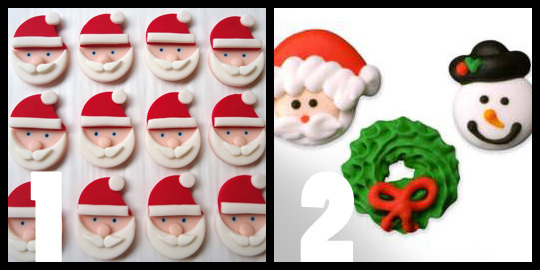 The first two are from Fancy Cakes by Leslie. 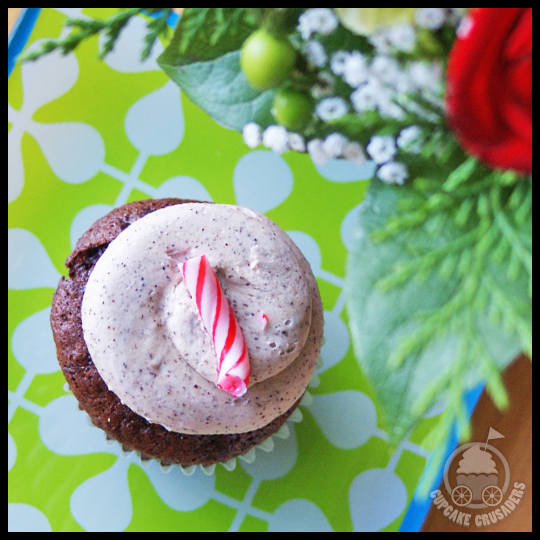 Red velvet is a tough cupcake to get right, and while I love Fancy Cakes, this one was not my favorite. The cake was dry and somewhat flavorless. 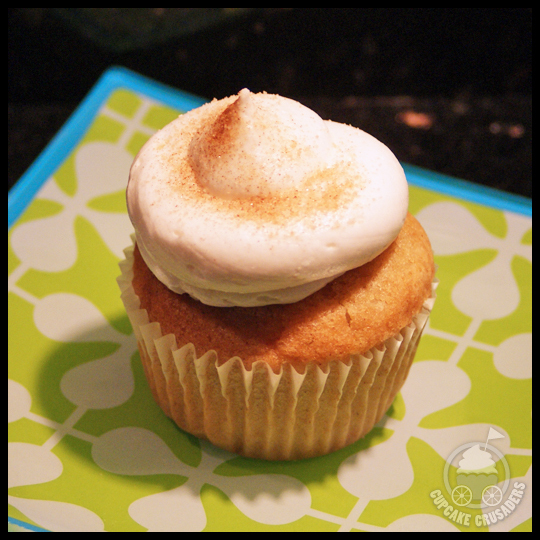 The buttercream icing was the saving grace, with it’s sweet, buttery, savory flavor. 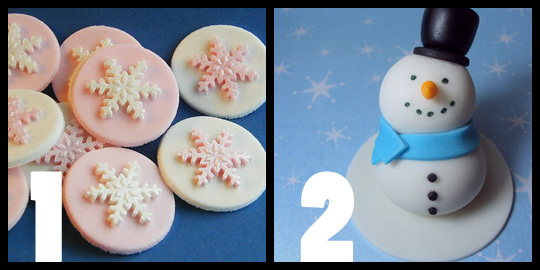 Rarely do I eat the fondant toppings – I’m just not a fondant fan – but I do eat them from Fancy Cakes because they are simply scrumptious! So I enjoyed the glittery snowflake and scraped every bit of icing off the plate. I love raspberries and so when Rebecca brought me this cupcake I was very excited! 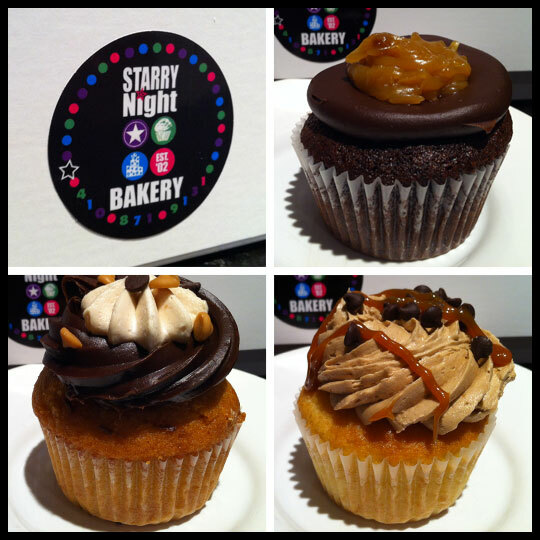 The chocolate cake was mild and not too sweet, and while it was a little dry, it really boasted chocolate flavor. 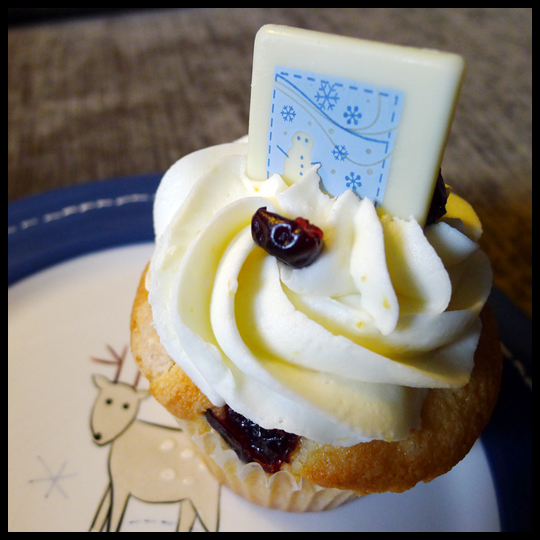 The icing, while very sweet, had a true raspberry taste and I would bet that it was made with real raspberries and not some extract flavoring. 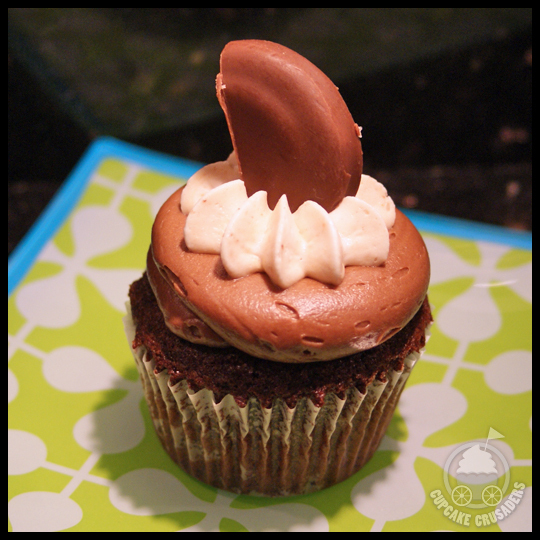 This cupcake makes my list of cupcakes to order again, next time I am down that way. 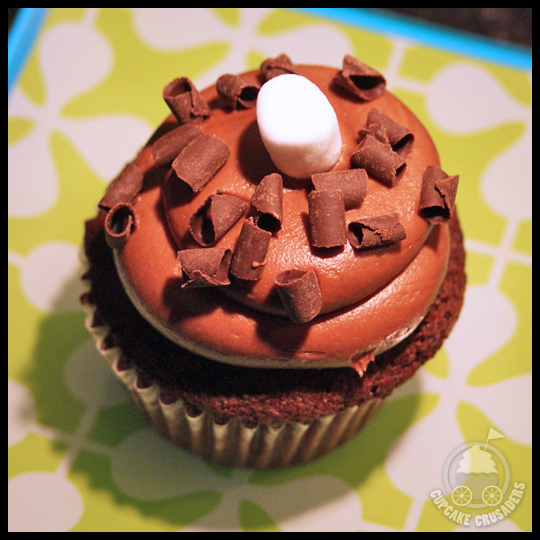 The other cupcake we wanted to share is the Hot Chocolate from IcedGems Baking. 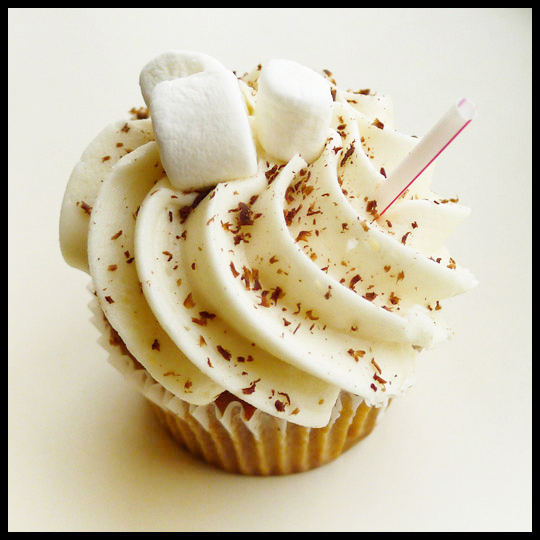 How can you not love a cupcake with marshmallows on top and a tiny straw for decoration? 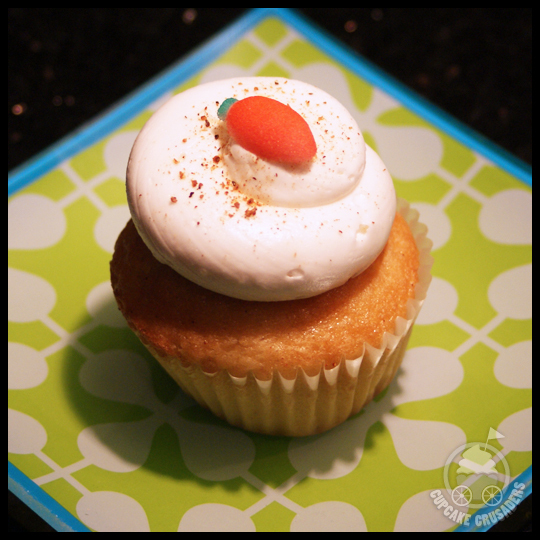 The cake was swirl cake – a cupcake rarity in my experience! 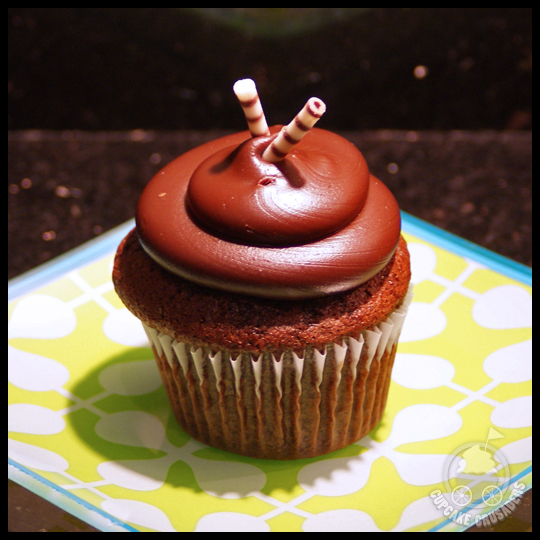 I was so pleasantly surprised by the moist, swirling chocolate/vanilla cake, and then the icing just melded all the flavors together into a cohesive, creamy, yummy, chocolate-y cupcake. 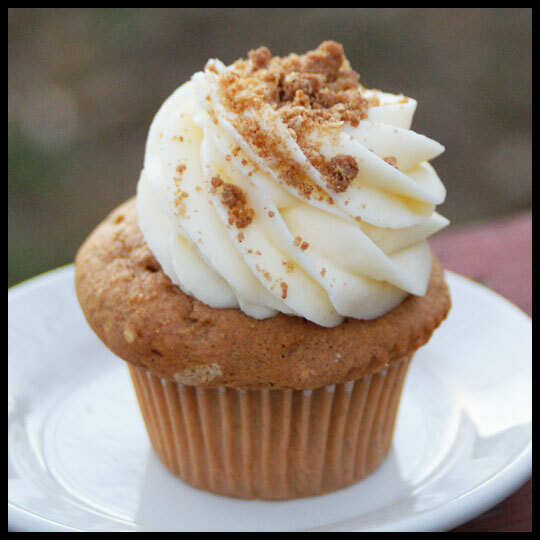 I would definitely order this cupcake again! The Crusaders are excited about all the wintery flavors out there right now. 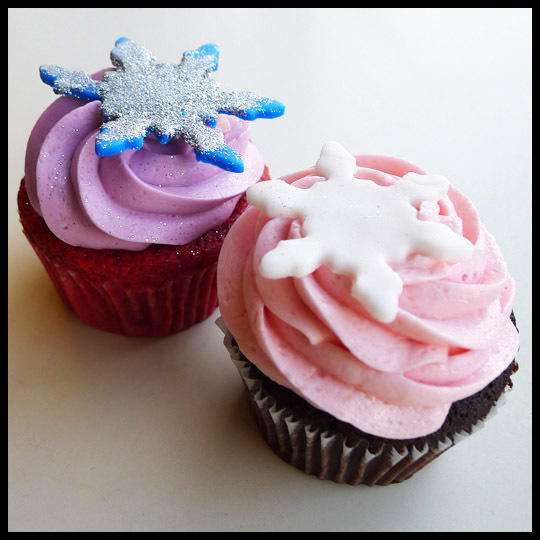 Have you had any winter cupcakes yet? 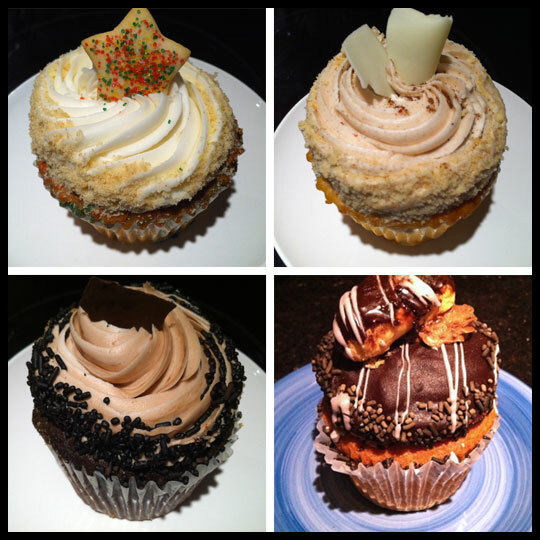 If not, you should definitely get out and see what your local cupcakeries have to offer! 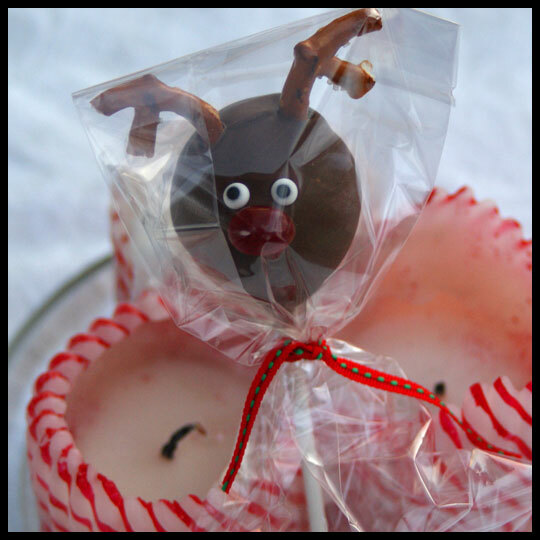 If you celebrate Christmas, I hope that your tree is up, your house is decorated and you have finished all your shopping. 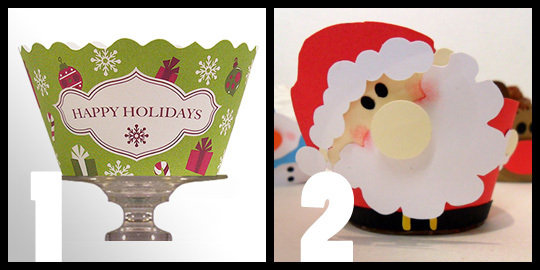 Well, maybe you haven’t finished ALL your shopping… but since Christmas is less than a week away, we wanted to share some of our favorite Christmas decorations for your cupcakes so that it’s not just your baking skills that impress your family and friends. 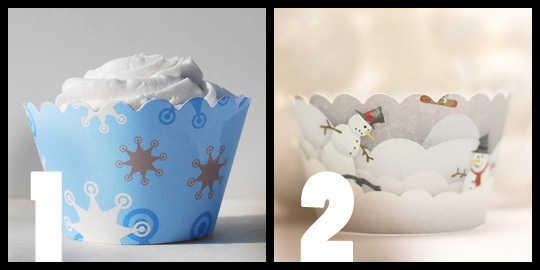 If you want to take it just a step further, instead of just using liners, add these cupcake wrappers to any cupcakes for an instant “wow” effect. 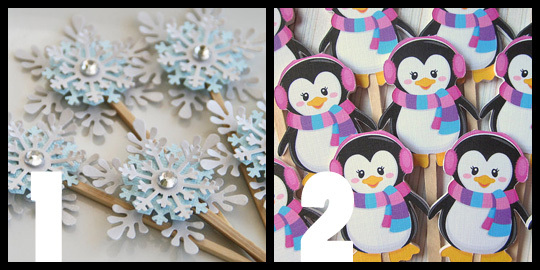 Want to show your crafty side, but still want something professional looking? 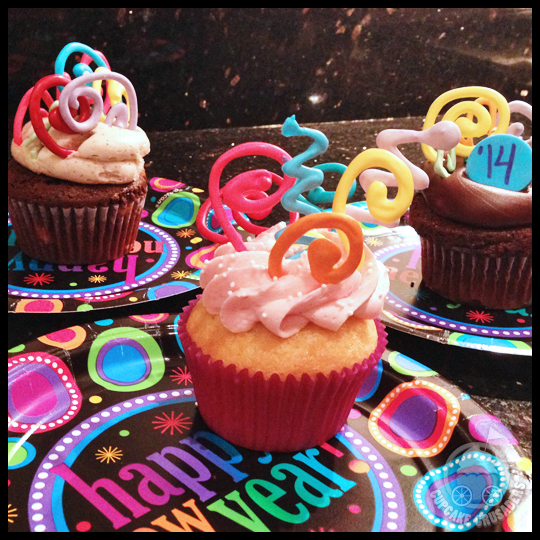 Try out these FREE cupcake toppers printables. All you have to do is print and construct at home yourself. 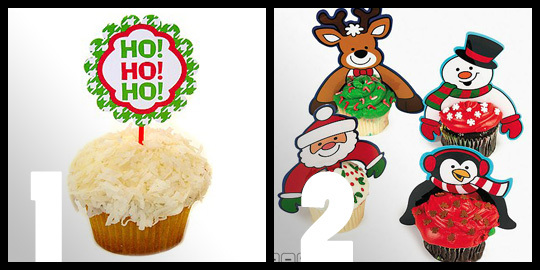 Would you rather purchase your cupcake toppers? No assembly required? How about these options? 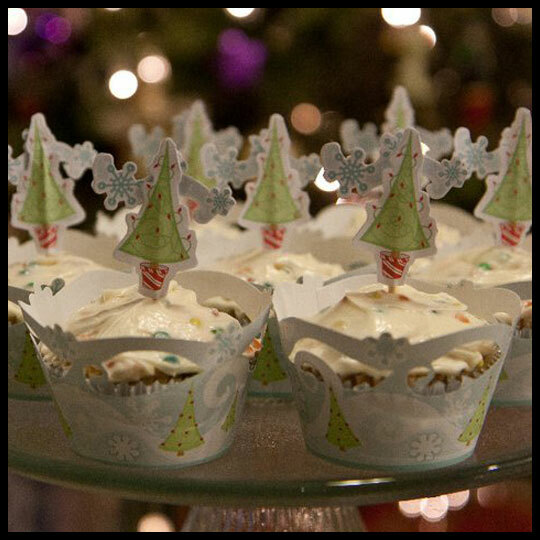 Want to get the full package instead of “mixing and matching?” Look at these cupcake kits that include the liners AND the cupcake toppers. 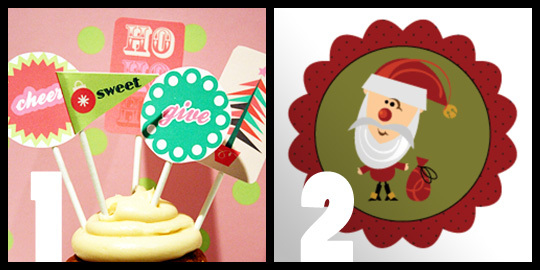 Giving the gift of cupcakes? Then you’ll probably need some packaging for them. 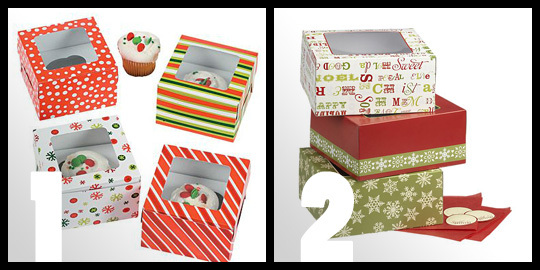 Instead of trying to figure out how you are going to wrap a box of cupcakes, order these holiday cupcake boxes. All the hard work has been done for you! 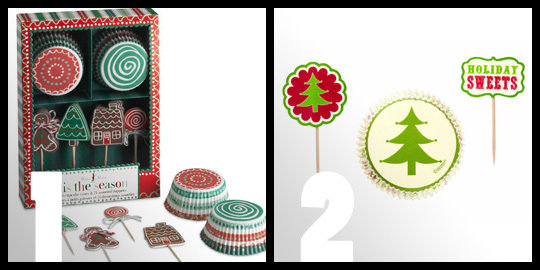 This time of year can be stressful for some, but don’t let your holiday baking stress you out. Instead, have fun with it. 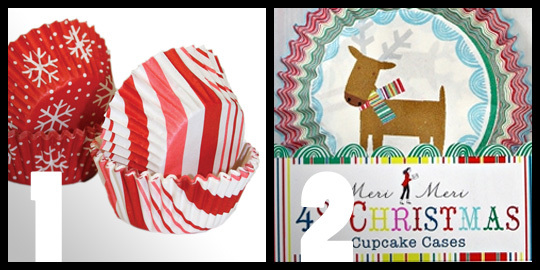 We hope these cupcake decorating ideas have helped spark some ideas!